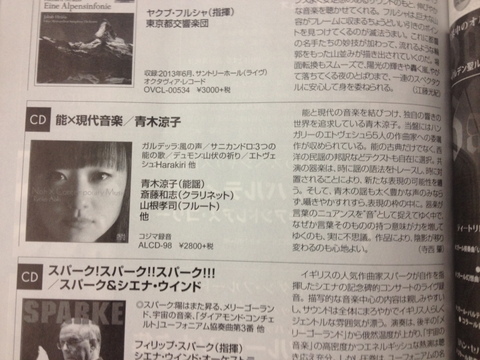 Review of my CD "Noh×Contemporary Music" by music magazine "bravo" 2014/7 issue! You can see this article online, "ebravo". bravo 2014/7 issue "New Release Selection"